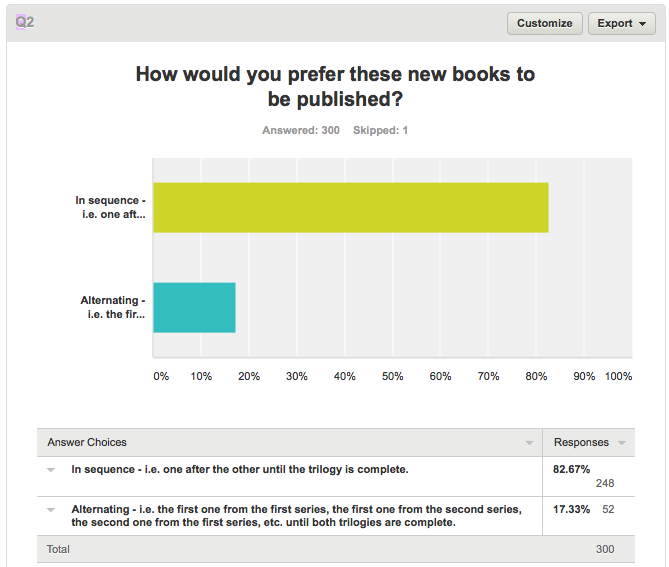 As promised, here are the results from the short survey I set up this week. There were four questions, and I had over 300 replies. 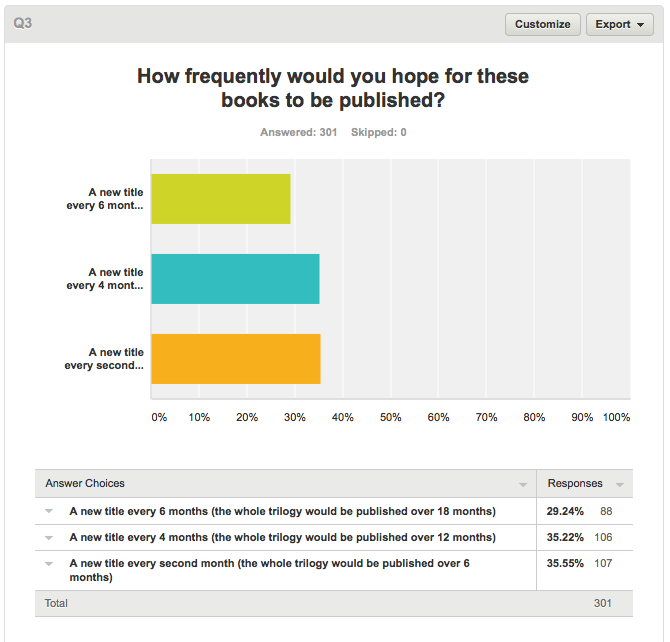 You didn’t all answer every question, but that’s okay – and some of you were good enough to leave comments on the last one. Finally, I asked about your buying habits, mostly because I’m curious how you shop. 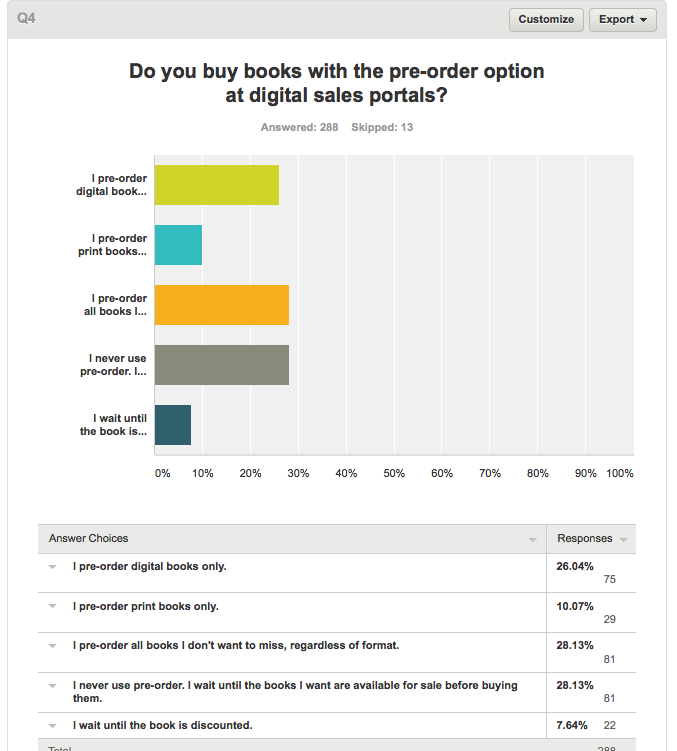 Some online portals insist that making books available for pre-order is key to success, while others are less encouraging. Pre-orders can be a bit more trouble to manage, so I wondered whether they were worth the effort. For 28% of you, they are, which is great to know. I’m not sharing the comments that many of you were gracious enough to share, although I really appreciate your taking the time to provide them. I didn’t want anyone to feel outed by making comments, but I’ve saved them all and am listening. 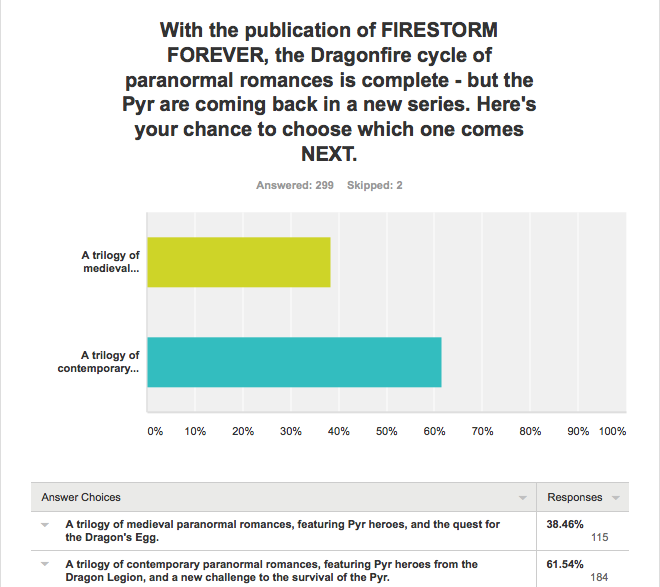 This entry was tagged buying patterns, paranormal romance, publication strategies, reader poll, reader survey, upcoming titles. Bookmark the permalink.